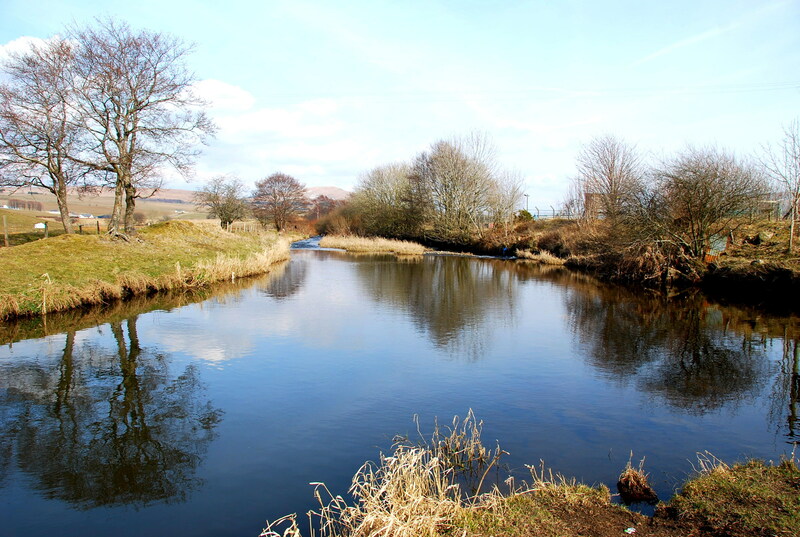 The source of the Afton Water is found on the slopes of Alwhat Hill in the south of the parish of New Cumnock. 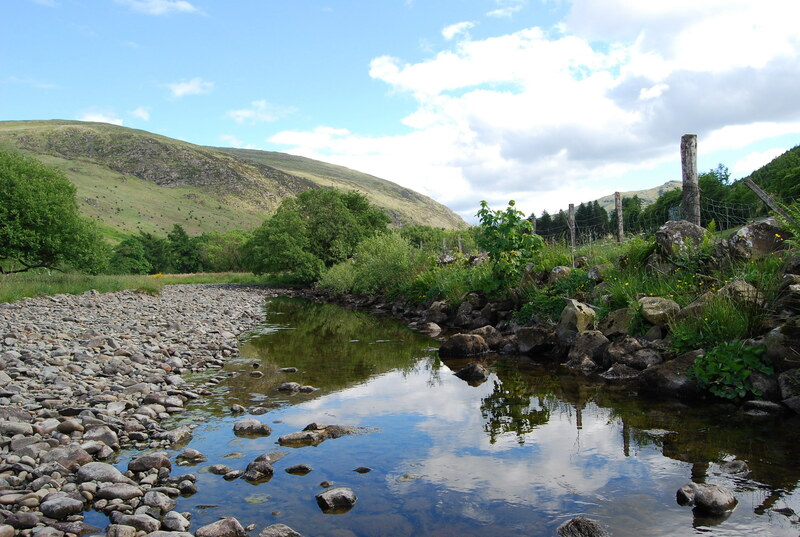 It flows due north for some eight miles through the delightful Glen Afton until it meets with the River Nith . This little river is famous the world over thanks to Robert Burns’ wonderful work ‘Sweet Afton’, and many townships or communties particularly in the USA, carry this name. ‘Sweet Afton’ first came to light in a letter that the bard wrote to Mrs Francis Dunlop, his patron and acquaintance, on the 5th February 1789. ‘There is a small river, Afton, that falls into the Nith, near New Cumnock, which has some charming, wild, romantic scenery on its banks’. Sadly in his letter, Burns gave no indication as to where he composed his praises to the Sweet Afton. Naturally, local folk-lore can no look no further than the vicinity of the Afton as the obvious place to write such an accurate description of the environs. One local tradition, related by A.M.Boyle, suggests that Burns had composed his work on the way back to a local inn from the Laight, home to his friend John Logan. No merriment that night as Burns retired to his room immediately and in the morning sent a servant with a draft of his work back to the Logans at Laight. Chris Rollie, promotes the more plausible local tradition, that Burns, completed his work whilst visiting Logan at Laight, speculating that he may have done so under the trysting thorn at the Laight. The identity of Mary in Sweet Afton, also remains a mystery. Gilbert Burns, the poet’s brother, believed that it was Mary Campbell (Highland Mary) who worked as a dairy maid at the Coilsfield House. This grand mansion stood on the banks of the Water of Fail, a small tributary of the River Ayr. Here too, a trysting thorn appears in local Burns-lore, for Highland Mary and Rabbie would regualrly meet under the branches of Mary’s thorn. Gilbert also believed that the song Sweet Afton was really a tribute to the River Ayr, where Rabbie had simply transposed the names of the two rivers, as he was known to do in some of his other works. However, Rabbie’s letter to Mrs Dunlop, dispels the notion that the River Ayr was ever the inspiration for Sweet Afton, and therefore it seems reasonable to look closer to home for an Afton Mary . One local tradition suggest that Mary may have been Mary Murdoch the cousin of John Logan’s wife Martha McAdam. 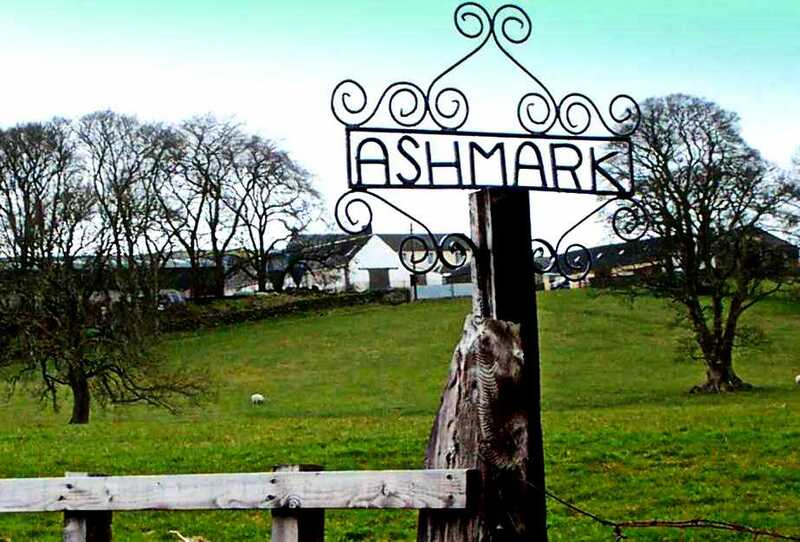 Mary, worked as a dairymaid at Laight and lived in the neighbouring farm of Ashmark, overlooking the lofty hills and green braes of Glen Afton .